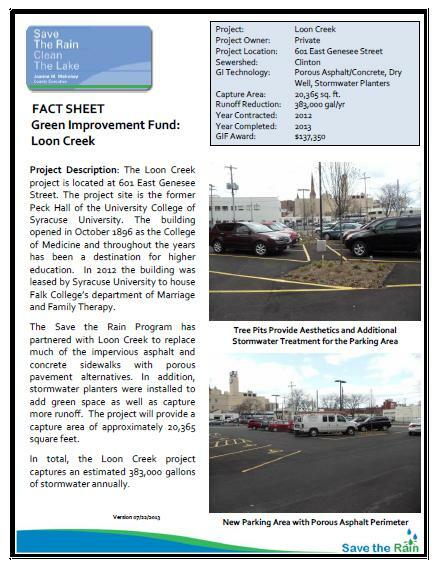 The Loon Creek project is located at 601 East Genesee Street, the former Peck Hall of the University College of Syracuse University. The building opened in October 1896 as the College of Medicine and throughout the years has been a destination for higher education. In 2012 the building was leased by Syracuse University to house Falk College’s department of Marriage and Family Therapy. The Save the Rain partnered with Loon Creek to replace much of the impervious asphalt and concrete sidewalks with porous pavement alternatives. 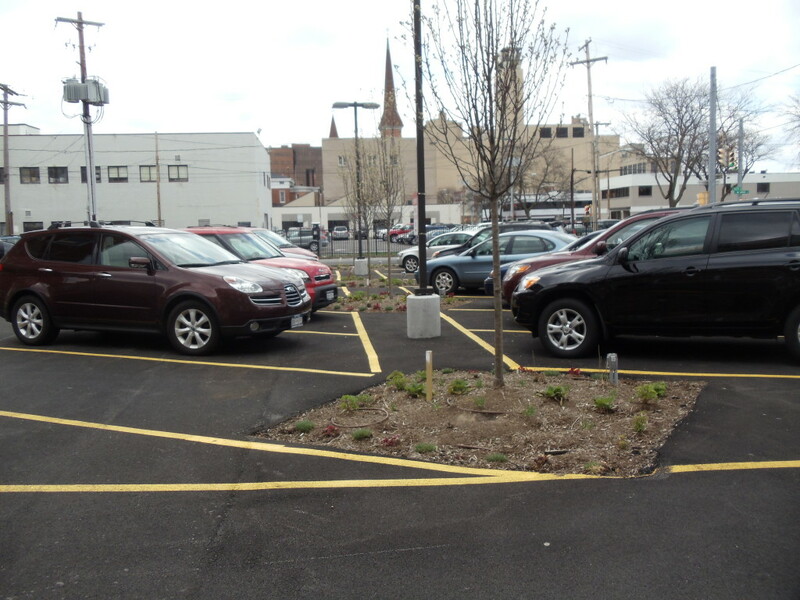 In addition, stormwater planters were installed to add green space as well as capture more runoff. The project captures runoff from a total area of approximately 20,365 square feet. In total, the Loon Creek project captures an estimated 383,000 gallons annually.